Baby registry made simple. Our guides help you easily find the items you need now. Start your baby registry with Babypalooza by clicking one of the links below. Free goody bag available in store. Baby Car Seat — Whether you choose a travel combo or a simple seat, you’ll need it installed before you go to the hospital. 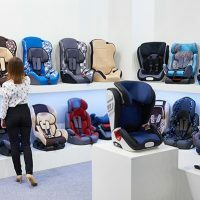 Many parents opt for the travel system, which includes the infant car seat that easily snaps in and out of a stroller base. 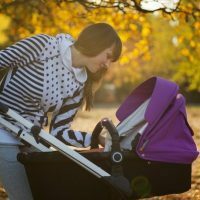 Strollers — are a must-buy item, and you’ll need to assess your situation (will you be traveling frequently or do you have to carry your stroller up and down stairs?) and decide if an umbrella stroller, jogging stroller, or travel system is your best bet. Baby Carrier — Many parents today choose a baby carrier for an easy, hands-free carrying option. There are several different types, so do a little research and pick the one that suits your needs best. Cribs and Bedding— A safe place for baby to sleep is essential. 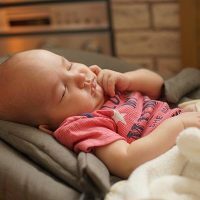 Health experts do not recommend placing an infant in the same bed as you because of the risk of a parent rolling over on the child during sleep. A bassinet or crib is a must. 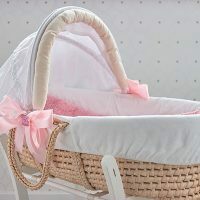 When selecting crib bedding the general rule is that less is more, no thick bumpers or blankets. 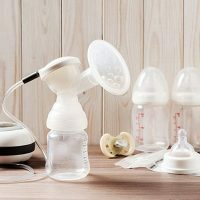 Breast Pumps and Feeding Supplies —Whether you’re breastfeeding or using formula, you’ll need to be ready with supplies when you come home from the hospital. If you’re returning to work, go ahead and invest in a high-quality electric double breast pump. Baby Monitor — Video monitors are best for no other reason than peace of mind. There’s no better feeling than being able to see your baby without having to go into their room and disturb them. 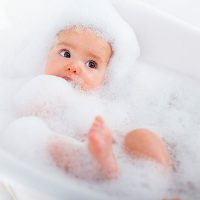 Baby Bath Tub and Toiletries — Get a safe, tub that can go inside your home’s bathtub. Hooded towels and gentle baby wash and shampoo are musts. Diapers — just trust me on this. 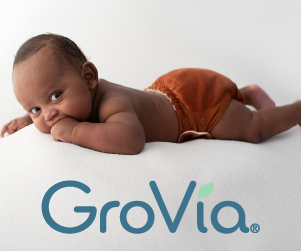 Disposable or cloth diapers and wipes—Don’t go crazy stocking up on newborn size diapers as many babies go straight to Size 1 diapers. But have enough to get you through the first couple of weeks without having to go shopping. Many moms these days opt for diaper and wipe showers to stock the shelves. Baby Clothes — experts suggest having 4-8 onesies (short- or long-sleeved); 4-8 undershirts; 4-8 one-piece pajamas; 5-7 pairs of socks; 2 or 3 hats; 1-3 dress-up outfits; 1 jacket or sweater; and 2 blanket sleepers for cold weather. FYI if you hear people talk about a Layette it’s just a fancy word for a set of newborn clothing. Baby Bouncer — for fun, playtime that lets you cook dinner or take a shower, a baby bouncer is just the right item. Also, it’s a great place for naptime for fussy sleepers. Join the Mommy Nation Newsletter!